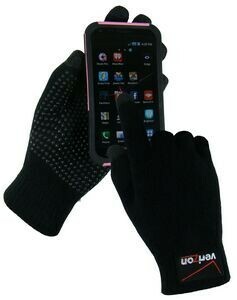 No more standing in the cold without gloves to keep your hands warm while texting or using your cellphone. This great glove doesnâ€™t need to be removed to use your phone. Itâ€™s a great promotional product but is very seasonal so this is the perfect time to order while itâ€™s still cold outside in most of the country. There is a 50 pair minimum. Click on the picture on the right or complete our contact form if you would like more information. Your customers will certainly remember your business with this great gift. If you have a store your customers will eagerly purchase and with your logo embroidered on them you will get lots of exposure.